Thousands went to prison for refusing to join Britain's war effort. In 1916, Britain introduced conscription for the first time. But thousands refused to be part of the war effort. The government allowed people to apply for exemption on the basis of conscience. Those that did faced public hostility and abuse. 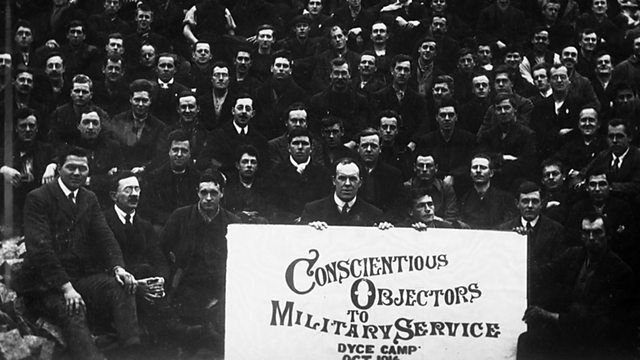 Many conscientious objectors were pacifists, members of Christian groups, like the Quakers, or those who felt the war was wrong on political or moral grounds. The majority accepted service in non combat roles, But thousands refused to have any part in the war effort and were sent to prison. Hear archive recordings of the men who stood against the war.